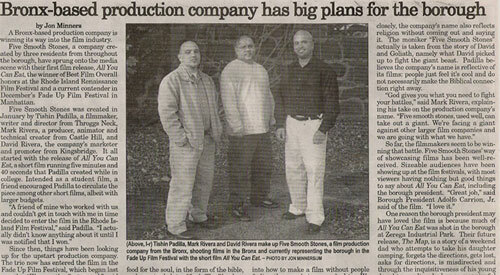 Child Abuse Cover-Up Bronx A.C.S. Perpetrators: Karen Delacruz, Bronx A.C.S. I speak with Karen Delacruz of the Bronx A.C.S. and she tells me she is going to inspect the children at 3833 Barnes Avenue. This is important because later on in the video Karen Delacruz is unable to confirm the address that I gave A.C.S. when I first reported the suspected abuse. What is not in the video is the fact that Karen Delacruz also accused me of doing nothing to protect my children before this. Both ACS and CPS used this argument against me inspite of the fact that the video makes it clear that I had done everything to protect my children in the past and was retaliated agaisnt by Jurema Laboy Padilla and her family. Perpetrators: Karen Delacruz, Bronx A.C.S. Caseworker and Laureen Simon, Supervisor 2, Bronx A.C.S. I speak with Delacruz and she lies and tells me she inspected my daughter and saw no gash on either foot. She claimed that she inspected my daughter on January 5, 2012, the same day I originally spoke with her. The photos/video of the injury before and after Delacruz claims she inspected my daughter are in the video. The injury doesn’t appear to be major but my daughter did in fact tell me that she was hit with a hammer. The issue then becomes the fact that they lie about the existence of the gash. Why not just say the gash didn’t seem major? Many people join in this lie and it becomes clear that something bigger is going on here. At the end of the day the fact is that my daughter was injured. It’s no ones place to say that this was okay. Let me hit you in the foot with a hammer and cut you that way. Would that be okay with you? With all the cowards who have tried to have me arrested for harassment for this website and video, both of which are not illegal, I’m sure you would report it to the police immediately and I wouldn’t argue that my actions were illegal and deserved punishment. 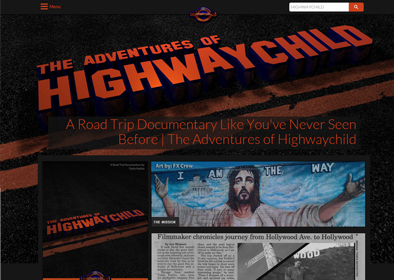 The purpose of this website, the information provided and “The Adventures of Highwaychild” documentary is to present evidence of crimes and injustices committed against the children and families mentioned. It is the hope of Hodos Pictures, LLC that shedding light on these facts would lead to legal justice for these innocent children. This case is about crimes committed against innocent children and not about a marital dispute. It also important to note that mothers, pastors, police officers, judges, lawyers and social services employees have in fact committed crimes in the past and have been prosecuted and incarcerated for their crimes. There are women’s prisons and there is a significant population of ex-pastors, ex-police officers, ex-attorneys, ex-judges and ex-government employees in prison. Holding a position of authority comes with a higher level of responsibility and accountability. A father who loves his kids, God, justice and the truth.